I love Lavender. I love the smell, the colour, the texture and everything else about it. Lavender and roses are on the top of my flower list. I was having trouble growing it, so I contacted Elizabeth Riceman Rowe of Leelanau Lavender who in answering my questions gave me some tips for the growth, care and uses of Lavender. I have put it into a question and answer format to make it easy to read and here is a table of contents if you just want to jump down to the section you are interested in. 1 Is it possible to grow Lavender from seeds? 2 Can I take cuttings for propagation? 3 What are the best growing conditions for Lavender? 4 Should I prune my Lavender? 5 Are you able to divide Lavender? 6 Is Lavender susceptible to any diseases or pests? 7 Are Lavenders always Lavender in colour? 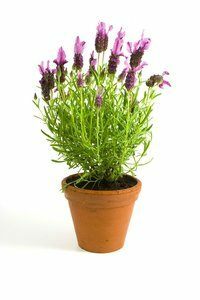 8 Can I grow Lavender in pots? 9 When and how do I harvest Lavender? 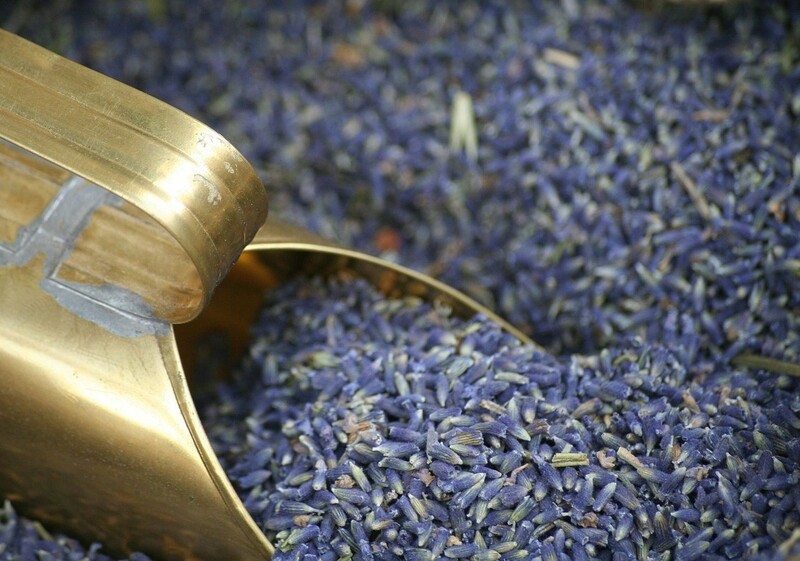 10 Can I distill Lavender at home? 11 Are there any particularly tasty varieties of Lavender? 12 What is your favourite use for Lavender? Is it possible to grow Lavender from seeds? Growing Lavender from seeds is much like growing anything from seed. The concern is the final product. If you are growing for commercial use, for oil, for hydra-salts, for bouquets, then it is highly recommended, strongly urged you do not try to grow from seed. The reason being is that the bees have far too much influence on the finished variety. You don’t really know the kind of Lavender that you’re actually going to end up with. So, you can grow from seed and just put it into some potting soil as you would almost any seed, give it lots of sun and water, about 70 degrees of temperature and watch for it to sprout. 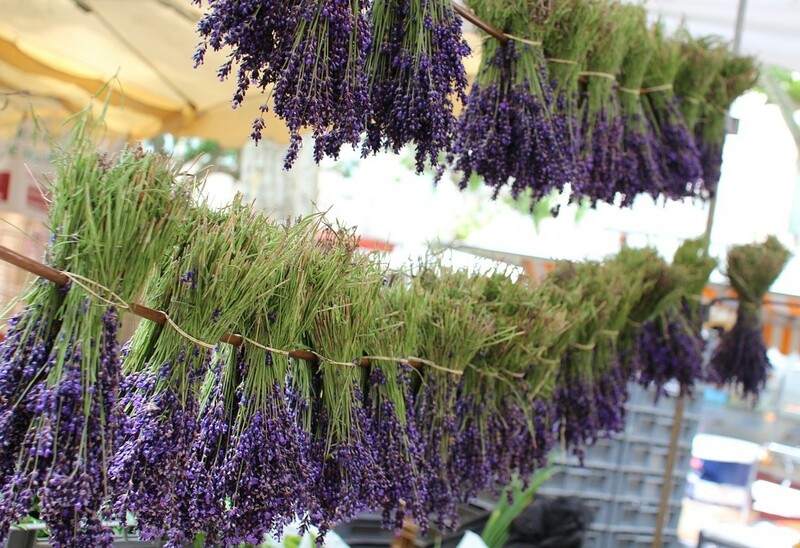 And that’s a fun way to grow Lavender for personal use in your garden. Can I take cuttings for propagation? There are two approaches to propagation from a fully matured plant and that is to take what is called either semi-hardwood cutting or a hardwood cutting. The semi-hardwood is a cutting where the wood of the plant, the wooden stem is fairly hard and the leaves are full-sized. The cutting usually is taken between mid to late summer through to the end of August. The hardwood cuttings are taken when the plant is dormant and it’s taken from about four to six inches from the top of the plant, dipped in a rooting hormone and then stuck in a potting medium. And then, of course, it’s watered and it’s grown in a temperature-controlled environment because these are usually done over the winter. That’s a real super, simple definition of propagation. There’s a lot of factors involved in propagation. A lot of it is trial and error. You just try where you live and see what method works the best. What are the best growing conditions for Lavender? The best growing conditions are lots and lots of sun; the more sun, the better. This is a native to the Mediterranean regions of the world so it likes lots of sun, lots of air movement and that’s one of the tricks about growing Lavender. 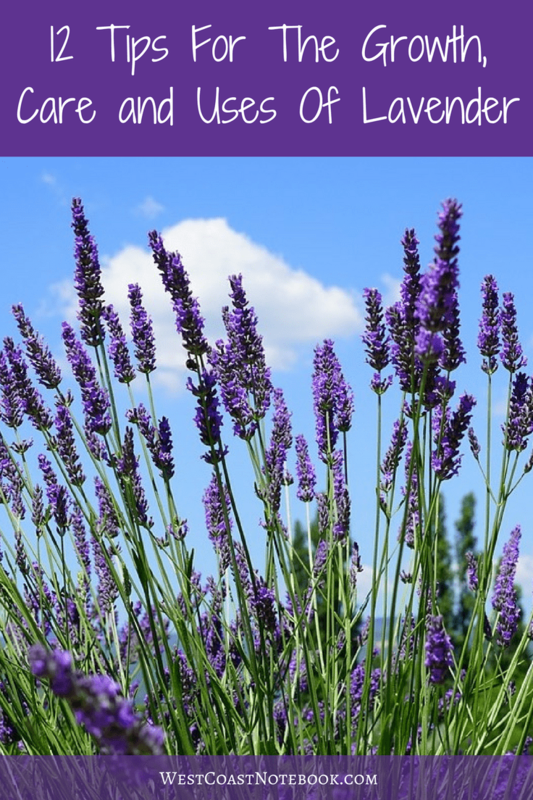 You want to make sure that you’re planting your plants far enough apart from one another where there’ll be lots of air movement around the plant because the biggest enemy of Lavender is moisture. So, if you have your plants smashed up against one another, then you can tempt them to retain a lot of water and then develop mould. And eventually, that’s going to rot the plant and cause their demise. Therefore, lots of sun, a sandy soil, a PH of about 7. So you want to have your soil tested initially and see if your PH is right because if it’s not, you’ll want to amend it a little bit. Standing on a slope is excellent because then you have good drainage versus if you planted in a low area, even though the soil is sandy, the water might collect and give it too much moisture. We plant with a little bit of bone meal and organic chicken fertiliser mixed together, put in the bottom of the hole. And you need to make sure that it does not touch the root of the Lavender plant and then insert the Lavender plant and mound up the soil a bit. When you first plant, that’s when it’s most critical to make sure that you’re very mindful of how much water you’re giving the plants. Probably at least twice a week, at least twice a week for the first month, I would recommend watering. And then there are rates of water based on irrigation systems and all. And of course, there’s one rule of thumb that if you are planting in the fall, which is an awesome recommended time to plant Lavender, make sure you do your watering and such but never water after the first frost. Should I prune my Lavender? Pruning is a requirement. You must. When people have complaints about their Lavender seems to be growing and its gotten real large but now it is sort of falling apart, off to the sides, and its gotten real leggy and its gotten very woody, and it’s lost its shape, and the plant doesn’t seem to be as healthy, that’s a direct correlation to a lack of pruning, or maybe even incorrect pruning. Pruning is required every year and you have a choice. You can prune in the early spring. What happens when you prune in the early spring is simply you are delaying the bloom until a little bit later into the early summer instead of the late spring. That’s a personal decision based on your own needs in your garden or on your farm. You can wait, not prune at all in the spring, let the plants simply come up into full bloom, harvest them in the mid-summer, and then harvesting is a type of pruning. There are many Lavenders where you’ll get a second bloom. They’ll come in in the fall. After you harvest that fall crop or plants, individual plants, however, it is that you’re working with them, then you’re going to want to make sure that everything is pruned prior to the first frost. Pruning in a winter area, like where we live here in Michigan, we want to prune the plant as close to the ground as it will go, without killing the poor thing. So, you’re going to prune it probably to about three leaves from the ground. And I’ll tell you the biggest reason for that is because we want to help the plant get covered as fully as possible by snow so that the least amount of the plant that’s exposed above snow, the better because the snow acts as a blanket and it helps protect the plant from any potential harsh winter winds or freezes. So, the lower to the ground that you prune, the more of that plant will be covered with a blanket of snow. Are you able to divide Lavender? No. You don’t divide Lavender. And most people think of divide as the cutting approach, like you might with Iris, for example, or Hostis where you can take the whole ball of the plant and simply take a sharp knife or gardening implement and just cut right down through the bed of the roots. And then, voila, now you have any number of additional new plants. Lavender is not divided in that fashion. It is propagated through cuttings from the stems of the plant. 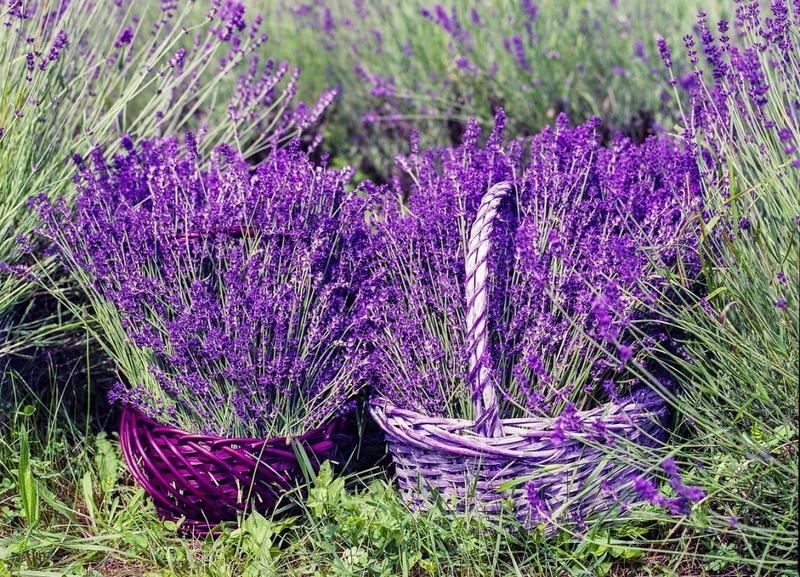 Is Lavender susceptible to any diseases or pests? It is but not many. One of the wonderful things about Lavender is it is basically pretty hardy. The biggest enemy is moisture. So, how do you keep that from happening, how do you keep black spot and root rot and mould from attacking your plant? Well, you don’t ever want to water from above. You always want to water at ground level so that the leaves of the plant are not being saturated. You only want the roots to be watered and, as I mentioned, you want to make sure that your plants are planted far enough from one another so that when they’re fully mature, you’re going to have room for enough air circulation. And I think with those two things, and of course, with the requirement for some very sandy soil so that the water does run away, you’re not going to have anything else that I’m aware of that’s really an enemy of the Lavender plant. And of course, the little critters. It’s pretty nice in that regard too in terms of pests, baby plants seem to be the most tempting morsels. Little rabbits and deer and perhaps some other small critters do tend to like to munch on young, tender Lavender. But even that, I haven’t experienced it as a large problem at all. Once the plant becomes mature, we have not had any pests. I have not talked with any other farmer around the country, you know, there may be, I’m certain I haven’t talked with them all that have had pest problems either. Are Lavenders always Lavender in colour? 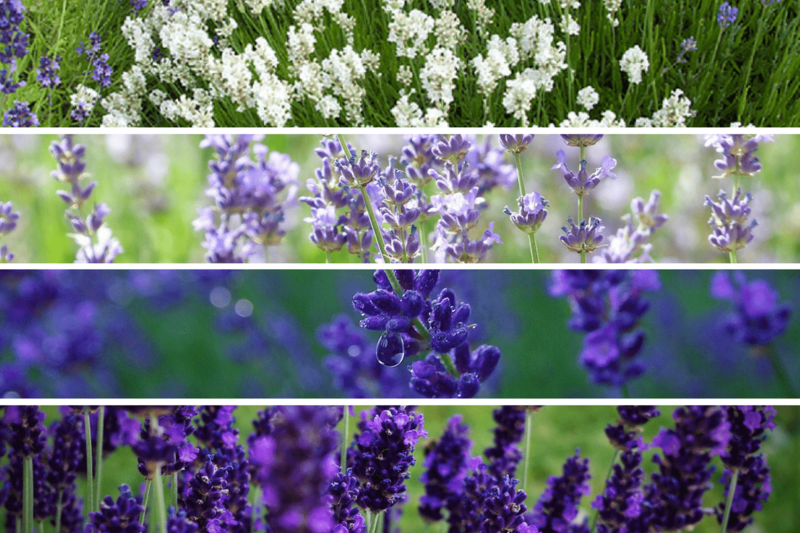 I have found approximately eleven colours of Lavender ranging from white to very, very dramatic deep midnight blue. Can I grow Lavender in pots? Absolutely yes. And that’s a wonderful way to experiment with what kind of Lavender you might really like to have. It also gives you more choices because it’s in a pot, and of course, your best bet is to put it in a clay pot, or terra cotta. Your clay pots are your best bet for moisture drainage and that sort of thing. But what you can do is you can plant all those beautiful Mediterranean plants, the Spanish and the French and then bring them inside in the wintertime if you happen to live in an area where it gets very cold or snowy or too rainy or something during the winter; just bring your plant in – prune it and bring it inside or put it in the warm end of your garage. And then you just pull it back out again in the spring and it will come back to life. So, it’s a fun way, if you can’t normally plant some of those Mediterranean-type plants in your area, to plant them in a pot. When and how do I harvest Lavender? There’s a lot of individual choices that come into play with regard to harvest. It depends – why are you growing Lavender? That is what you have to decide when you make your determination about when and how to harvest. If you have several plants in your garden, then you may not want to harvest them. 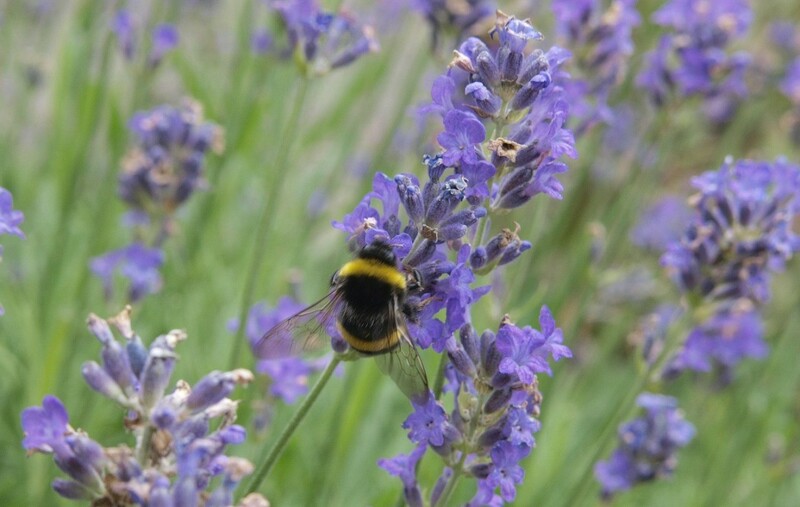 You may want to leave them there, let them go into full bloom and stay in bloom as long as possible throughout your growing season so that you can enjoy the colour and the look and the texture of the Lavender in your garden. 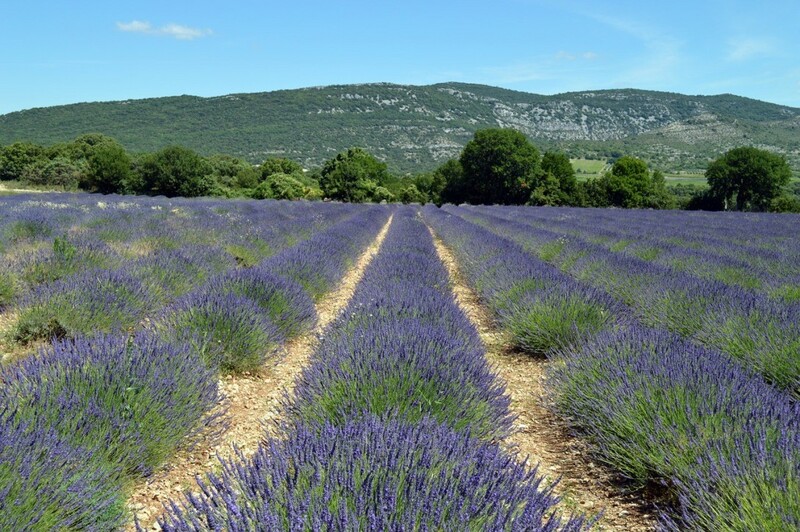 Now, if you are growing Lavender for some aspect of business, then you have all kinds of considerations about – are you cutting for oil? Are you going to distill essential oil? Then you’re going to harvest after half of the stocks are in bloom, half of them are still in bud. You’re going to harvest it in the morning after the dew has lifted. You’re going to set the plants in a dark place with lots of air movement and let them sit there for a couple of days before you proceed with your distillation. You have to determine your objective and then decide what phase of bloom are the flowers of the plant in? And that’s how you make your determination of when to harvest. 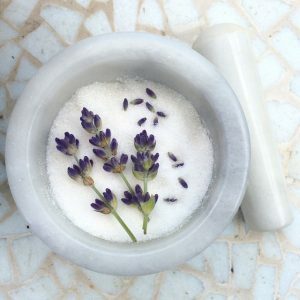 Can I distill Lavender at home? Well, that’s an interesting question. The short answer is yes, you can get oil at home. But it’s not done, to my knowledge, without some investment. And again, you’ve really got to be clear on your objective. If you just want a few vials of fresh essential oil for your personal use, then with an expenditure of perhaps a couple hundred dollars, you can get an at-home still that you can set up on your stovetop and you probably ought to get a little bit of training. But with that, and if you’ve got a fair number of plants in your garden so you have some amount of harvested material, then yes, you could produce essential oil at home. It takes a lot of time, it really takes a lot of know-how to do it well, to do it in any amount. I think this is the biggest challenge, to distill essential oil, it takes a tremendous amount of raw material. But if you use a copper still and you’re going to create several ounces of essential oil, you’re going to need a lot of plants. And you’re going to need to know some chemistry. You’ll need to understand the distillation process and take some training. So, it’s not an easy process by any means and it takes some time and some practice and trial and error to really get good at it. Are there any particularly tasty varieties of Lavender? Yes, there are. I’ll have to qualify this just a teeny bit and say that much of it will have to do with where it’s being grown. Because you can take Provence Lavender and you grow it here, right next to the Great Lakes in Michigan. You take that same plant and you grow it in Australia. You very likely may have a different taste. It’s so impacted by the soil. So, I hate to make a sort of blanket statement, even though I think it would probably be fairly safe to say that Provence is a pretty good variety, pretty safe variety for use in culinary. But the best way for you to know is to taste it. You can take dried Lavender buds, make sure that they are organic – that is absolutely critical in my opinion – so make sure it’s organic and then give it a taste test. Chew on some buds and ask yourself what tastes sweeter because the ones that taste sweeter are the ones that you’re going to want to use in your cooking. And just a teeny word of caution for anybody who may be considering adventuring into the world of culinary uses, you want to use a little bit because a little bit with fresh herbs goes a long way. 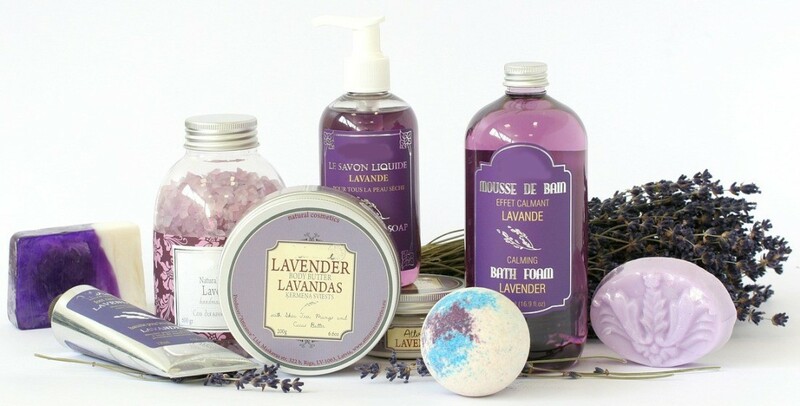 What is your favourite use for Lavender? Oh my goodness! There’s so many! I think my favorite use is simply to experience it out in nature; just to look at it and appreciate its diversity, the textures, the colors, the sizes, the smells, just having it be in the ground and walk through it in the sunshine and listen to the bees as they absolutely devour its sweet taste. I think that has got to be my favourite. You can find all sort of goodies on their website, from Aromatherapy, skin care, cleaning products and edibles. I encourage you to check them out.